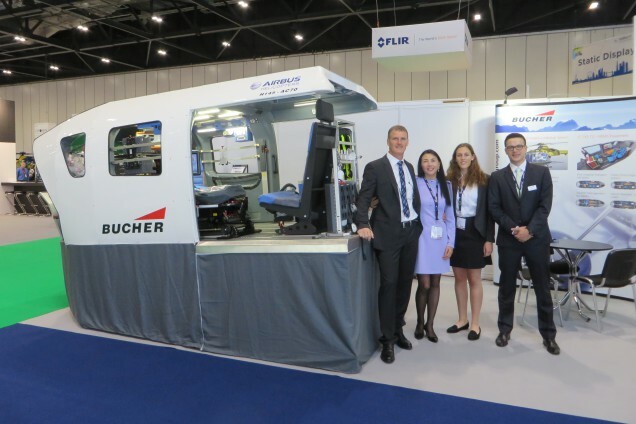 This year’s Helitech International Expo was a huge success for Bucher. The innovative and modular HEMS equipment AC70 was met with great interest. Operators and other visitors were able to test all functions and simulate processes with the ergonomically optimized equipment. The AC70 is the result of intensive collaboration with customers and partners, the air rescue organizations ADAC Luftrettung and DRF Luftrettung, who combined have more than 40 years of experience in the industry. Thanks to the involvement and insight of various industry specialists, the user experience was directly incorporated into the development of the equipment. This has led to new standards of ergonomics, operability and usability. Not surprisingly, Yorkshire Air Ambulance has now also signed up for the AC70 equipment (see press release). For more information about our HEMS equipment, click here .